Learn that selling your probate property through a cash buyer has many advantages over the traditional way of selling your home using a realtor. Wether you are the Executor or Administrator or an extra heir on the will, using a Cash investor can make this sometimes burdensome and unpleasant time in your life very simple and stress free. 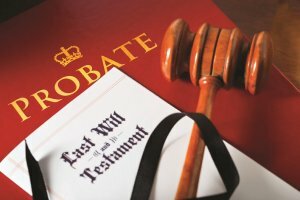 We will guide you through the process just as much as a realtor would if not better with our specific probate experience. Never will you feel lost or taking advantage of. You may not want to be a part of the selling process. This makes dealing with a cash buyer very convienent. Selling through a realtor can take anywhere from 6 to 12 months to complete. Cash Buyer? 30-90 days! You may not want or even be able to renovate or upgrade the property. That’s ok, we buy all property AS-IS. In the end, Nobody wants to go through probate. With our knowledge, help and sensitive touch to the matter, we at BrighterHomeSolutions will make this time in your life as stress less as possible. When you’re armed with the right information, know all of your options, and can make a well educated plan… your odds of coming out of this probate happy with the conclusion is super high! !